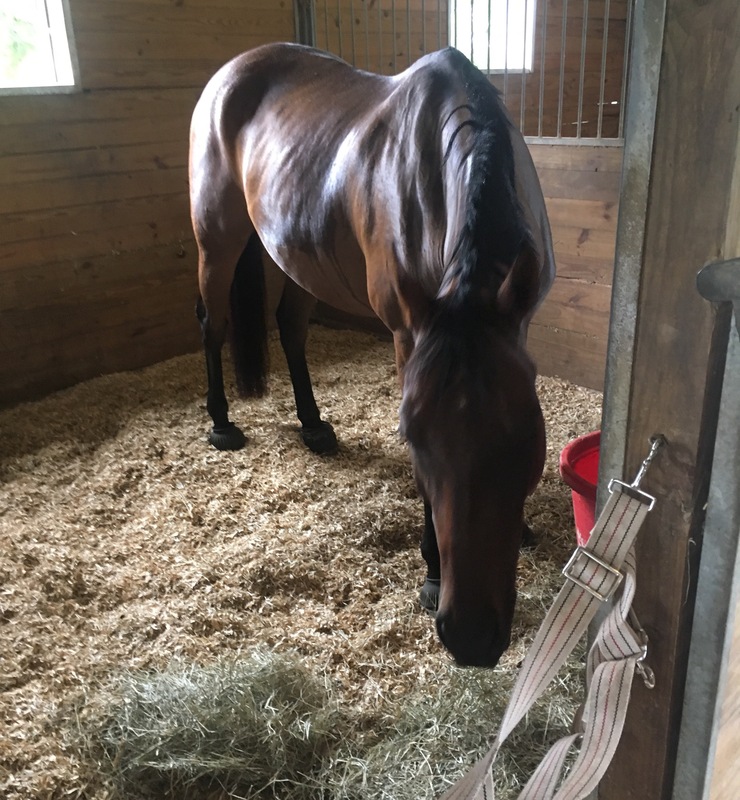 I’m in the middle of a 10 day barnsitting stint, and while barnsitting is absolutely my favorite way to make a some extra cash to add to my budget, regular work hours plus barnsitting duties make it difficult for me to have time to ride Henry. Instead of giving him another week off, since he just came back from vacation, I decided to send him down to Trainer for the week. This actually worked out pretty well (for once) since apparently it’s suddenly monsoon season in Texas. It’s been raining like crazy, which has turned our pastures to mud pits and our arena into a lake. Trainer’s place is a couple hours away, on really nice sandy soil, so even with tons of water it stays rideable. If Henry was at home he’d just be standing in his stall anyway, so – perfect timing. Friday afternoon weather (with heat index of 112) vs Sunday afternoon weather. He’s been a bit frustrating on the flat lately (not bad, just really “lit”) so I’m not gonna lie, this is a little fun for me. Yesterday I took the day off from work (how do I still have 19 vacation days left??? ), packed his bridles and his food/supplements, loaded him up, and drove him down to Trainer’s. I kind of understand how parents feel now when they drop kids off at camp. On one hand you love them and miss them as soon as you start to pull out, but on the other hand you just can’t seem to press down on that accelerator fast enough. The first update, from yesterday’s ride, was pretty entertaining – “I didn’t die today, but… it was touch and go for a few minutes.”. 30 degree drop in temperature plus a very fit Henry… yep, this is gonna be a fantastic week. Mostly for me, since all I have to do is write the check. Money well spent. I find that I’m considerably less annoyed with it when my horse is still getting turned out and ridden. Yeah, that would make it okay for me, too! Although I will ride in pretty crappy conditions just to w/t. Annie was supposed to be in mini boot camp this week coming off the Elisa clinic but not sure how much of that will still happen now. Great plan! It sounds like perfect timing with the weather being so crummy too. Wish I could afford to send my kid to “camp” more often, hah!